In the late 90’s to the early 2000’s owning a mobile phone was the real deal. It does not matter if the device could actually record or take selfie but the integrity it waters on someone really made it worth the experience. One huge demerit about this “must have,”is the fact that not everyone had the money to afford such supposed expensive gadget as per then.Talking about having an expensive gadget, the name “3310” rings a bell right? Alright! I believe with the sound of the title you should have an idea of what i am about talking about. Nokia 3310 was one of the first model of mobile phones produced by Nokia and you will agree with me that owning a 3310 device then was the big deal considering the cost then and the prestige attached to it. 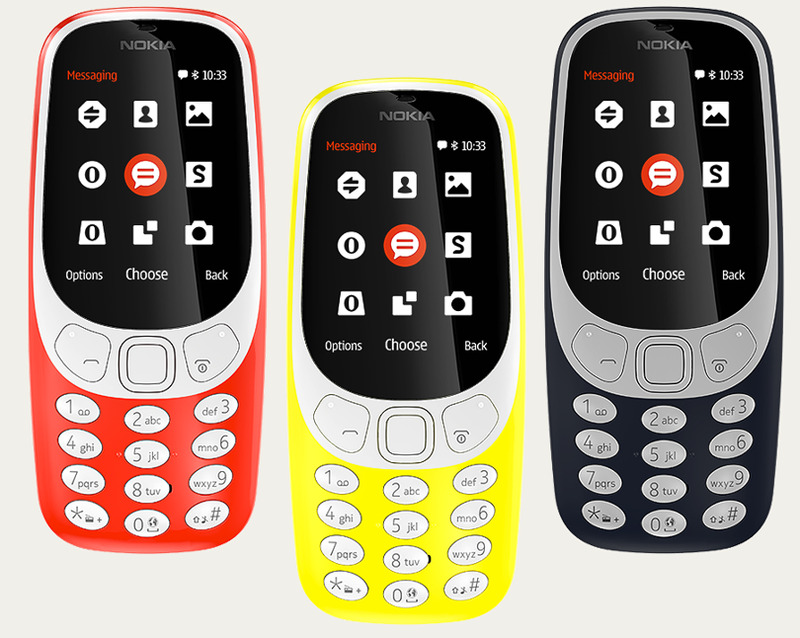 The past few days has been alot of fun for me anyway,i was able to read and feel how users felt about the comeback of the Nokia 3310 but this time, alot more better, finer and more modified. Alot of persons have reacted postively to the comeback while others still feels the company should have left the sleeping dog chill. - This one-month battery lasting longer, is it gonna be part of the game to get back what they have lost? The Nokia 3310 re-launch took place ahead of this year's Mobile World Congress in Barcelona. The handset is noticeably slimmer than the original Nokia 3310, which sold around 126 million units before it was discontinued in 2005. It’s also almost half the weight – the original was 133g, the new one is 79g. The phone has been developed by HMD, which acquired a ten-year license to use Nokia’s brand name in May 2016. The company continues to sell a broad range of simple phones in developing markets, but the Nokia 3310 will be sold worldwide as a “digital detox” phone. Tell me about your past experience with the Nokia 3310 and will you be interested in using it as it makes a comeback? Use the comment box to tell me what you feel. NIce review, I'm looking to get this mobile on local store. Great mobile and its quite cheap. Back in 2005 the old model of nokia 3310 was my favorite.